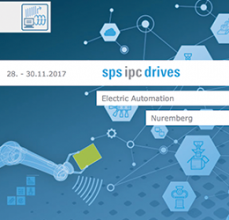 Schedule your meeting with us at SPS IPC 2017 and get a special gift. Servotronix will be introducing a complete motion system, comprising motion controllers, servo drives, servo motors and encoders. The versatility of each motion product line, combined with Servotronix’s motion expertise, offer machine builders application-specific motion solutions in a cost-effective package. Servotronix employs local application teams around the globe to ensure customers enjoy smooth integration and commissioning, as well as ongoing support whenever and wherever needed. Meet suppliers of electric automation technology from around the world. Inform yourself about all products, trends and innovations within the industry from 28 – 30 November 2017 in Nuremberg. The trade fair offers you the perfect platform to search the right solutions for your automation tasks. The topic of Industrie 4.0 is developing from a vision to reality and once again will be a main focus of the exhibition. In the age of digital transformation, IT and automation are increasingly merging and this will be reflected at this year’s event as never before. Alongside topic based special display areas, presentations, many products and examples of applications devoted to digital transformation, hall 6 has a new thematic focus, which will address these new challenges in production technologies. Take this chance to achieve intelligent production. More information under this link.